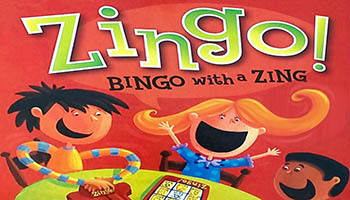 The Zingo holder dispenses two tiles. These tiles have various pictures on them such as: apples, a ball, fish, star, house, kite, tree, smile, train, cake, clock, etc. 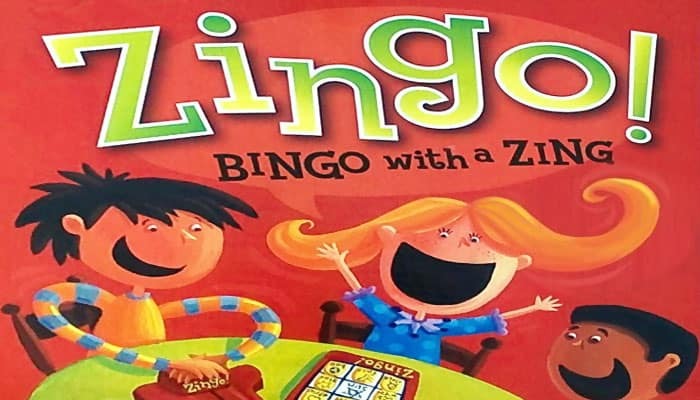 When player sees a tile that matches one on his or her Zingo card they take the tile and cover up the corresponding spaces on his/her Zingo card. Unclaimed tiles are placed back into the Zingo tile holder. If two players call the same tile, it goes to whoever called it first. The first player to cover all 9 spaces on their card shouts ZINGO and wins the game. 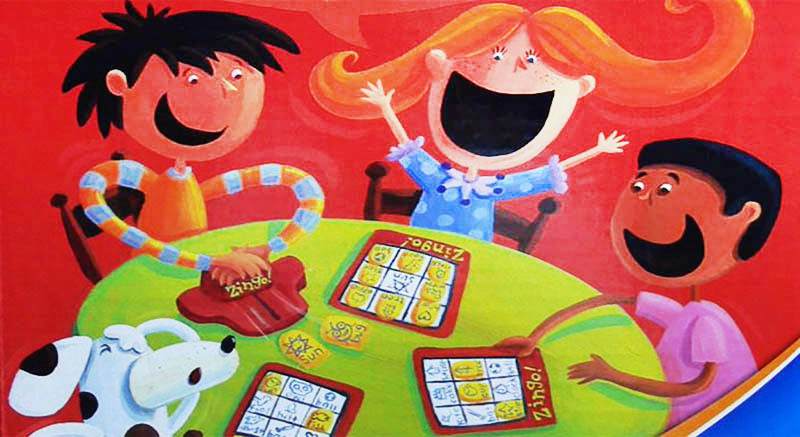 It's important for children to have a chance to familiarize themselves with the various game components before cooperative or competitive play begins.